The Maxilator line of hay handling equipment is a division of SageBrush Metal Art, LLC, a business founded by Ken Sargent specializing in custom metal work. 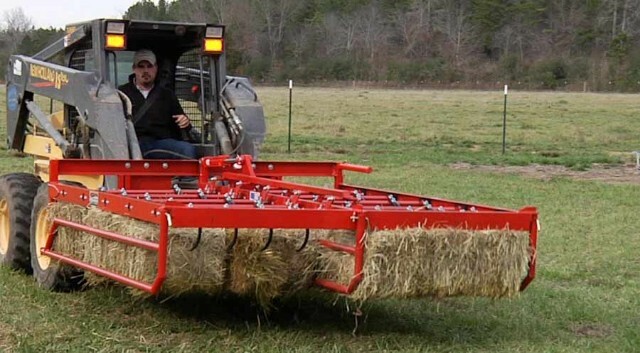 As a farmer with a love for agriculture, Ken used his expertise in metal work to design these unique units that revolutionize the handling of hay, from the field to the barn. As farmers ourselves, we understand the needs of farmers and this quality line reflects our passion for what we do. We are proud to say that Maxilator products are made with pride in the USA!Get the job done in a fraction of the time with Maxilator hay handling equipment. Maxilator works with both tractors and skid loaders. 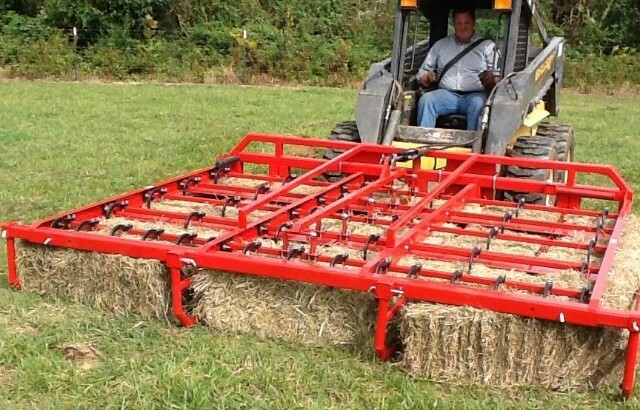 With the Accumagrapple Elite, one man, with one piece of equipment, can gather, lift, load and offload hay, without ever having to touch a bale by hand. Spend less time, use less labor and save money handling hay.